After a strong 2017, emerging markets are on course for further gains in the coming 12 months and beyond, but, as ever, it’s going to be a bumpy ride, warn analysts. The MSCI Emerging Markets index returned 37.28% in 2017 – its best performance since 2009 – to add to its 11.19% gain in 2016. This performance was driven by improving global and regional economies, resilient industrial data in China, continued earnings upgrades for Asian equities and a weak US dollar, says Min Feng, senior investment specialist at Nomura. But emerging market equities still appear cheap relative to history and other regions. That’s because they are currently recovering from a low base. The commodity price slump between 2013 and 2015 meant the index saw negative returns three years running. Now, Russ Mould, investment director at AJ Bell, notes that emerging markets overall are trading at around 1.7 times on a price/book basis, compared with cyclical peaks north of three times. Still, investing in emerging markets is not for the faint hearted and should only be done with a long-term time frame in mind. “Although the current situation is about as calm as emerging markets get, a shock from the developed world would be felt in emerging markets as well,” says Hermes’ Gary Greenberg. External events such as faster-than-expected US rate rises, North American Free Trade Agreement (NAFTA) talks, increased US protectionism, monetary policy normalization by central banks and increased geo-political tensions pose risks. As ever, politics will also weigh on emerging markets. There are elections in 20 different countries including Russia, Mexico and Brazil. While the result in Russia shouldn’t spring any surprises, Paul Greer, senior trading for emerging market debt at Fidelity, expects “heightened uncertainty and asset price volatility”. Then there’s China, where a hard landing is still possible, though most economists do not expect this to happen. Most are still positive on the region. Jan Dehn, head of research at Ashmore, isn’t worried about increased volatility going into elections. He says any extreme mispricing of assets will offer opportunities for investors to outperform the markets. Tom Wilson, head of emerging market equities at Schroders, forecasts an aggregate growth rate of 4.9% in 2018 – in line with 2017. A rebalancing in the make-up of the largest companies in the emerging market universe, from commodity-based firms to technology giants, should help with gains. Jorry Rask Nøddekær, manager of Nordea 1 – Emerging Stars Equity Fund, sees attractive opportunities in Chinese internet and e-commerce names. Nøddekær and the Morningstar Investment Management team also like South Korean and Taiwanese equities. While no fund in the Investment Association Global Emerging Markets sector currently holds a Gold Morningstar Analyst Rating, there are five rated Silver, three of which have four-star performance ratings. One of these, Aberdeen Emerging Markets, had a “test of character” in 2017, according to Morningstar analyst Mark Laidlaw. It underperformed the MSCI Emerging Markets index by a fifth. This was because the fund is underweight tech names due to the team’s view on valuations and quality. It only added a position in Tencent (00700) in the third quarter of 2017. Other Silver-rated offerings include Dimensional Emerging Markets Core Equity and T. Rowe Price Emerging Markets Equity. On the former, Monika Dutt says its modest bets on investment styles and cost-efficiency should continue to serve patient investors well. Again, there are no Gold rated closed-end funds and there is only one trust that Morningstar analysts rate as Silver; JPMorgan Emerging Markets (JMG). Experienced investor Austin Forey takes a long-term approach, focusing on businesses that have attractive earnings, strong balance sheets, excess returns on capital, sustainable competitive advantages, an ability to grow market share and potential to generate significant shareholder value. The fund is generally overweight financials and consumer staples and underweight energy and materials. Morningstar analyst Simon Dorricott says it is a “high-quality offering”. The continuing pursuit for growth and popular drive toward globalization pushes farther the introduction or expansion within Tokyo, Japan as a prime investment target for many global companies. Subsequently, the middle market offers numerous acquisition opportunities in all geographic areas and industry sector. Our headquarters are located in Beijing, where our global team operates in close coordination closely with our investment banking experts in the Japan to match middle-market sellers with the widest available network of positive financial acquirers throughout the world. DFS Associates demand from our people the highest levels of professional conduct, observance of high ethical values and expert performance beyond client, employee and shareholder expectations within our entire organization. The continuing pursuit for growth and popular drive toward globalization pushes farther the initiation or expansion within Tokyo, Japan as a prime investment target for many global companies. Subsequently, the middle market offers numerous acquisition opportunities in all geographic areas and industry sector. As such, DFS Associates looks for worldwide acquirers for practically all every M&A transaction the firm undertakes. Our headquarters are located in Beijing, where our global team operates in close coordination closely with our investment banking experts in the Japan to match middle-market sellers with the widest available network of positive financial acquirers throughout the world. DFS Associates delivers vital information and resources in around 70 countries in the world. 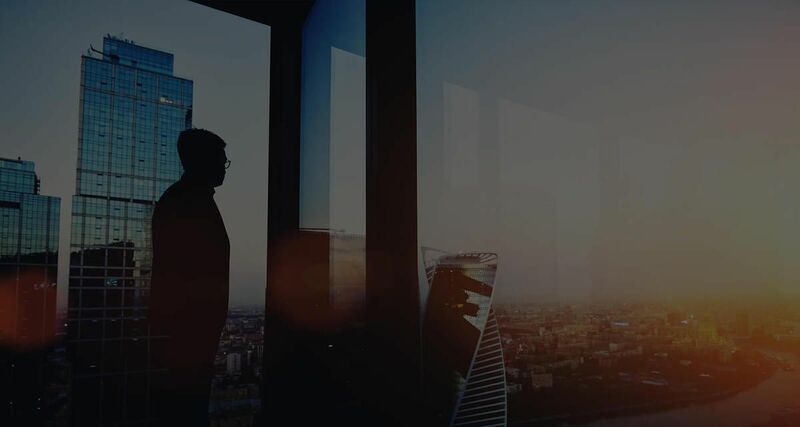 With our firm’s profound cross-border expertise, DFS Associates likewise offers dedicated advisory services to global firms seeking potential Tokyo, Japan middle-market businesses that suit certain acquisition parameters. Most company owners love to say that when they turn 60 or their kids graduate, they will sell their business. However, such personal deadlines do not form a solid basis for getting a good price for companies. A company’s competitors, its vendors and even workers often compose the most likely buyers of a business. Statistically, about half of last year’s published transactions came from within the sellers’ own sector. Nevertheless, most of these buyers are often so-called economic buyers who are unwilling to invest substantial amounts of extra capital. On the other hand, premium buyers which include large public firms realize great potential for growth and are therefore willing to pay more dollars. You can enhance your capability to achieve a substantial profit by targeting these buyers. Who are these premium buyers specifically? In general, they are big local and global public firms. Normal acquisitions are basic to their approach for profitability, growth and diversification. European buyers are at the top of this group, claiming over 70% of their announced deals with private firms last year. They are not only grabbing Tokyo, Japan private middle-market firms for expansion, they are eager and capable of paying top dollars. Ostensibly, these buyers know that they are investing in the future through the easiest and fastest manner. Typically, an economic buyer will look closely at your financials. Do not let them! Often, it is a sure way to haggle a low price based on how your business stands at the present. To maximize your price, convince them of your firm’s market value, or your potential for future growth. Present a positive picture of your company if it can obtain enough capital investment and more resources to drive its operations. A common mistake among many business owners is to base their firm’s value exclusively on historical performance instead of on future projections. Our tested M&A approach initially reveals every firm’s special and usually unappreciated characteristics. These unique qualities can never be reduced into a mathematical formula, yet are crucial in achieving the highest price. Using this perspective, DFS Associates can proceed to develop a growth projection that considers the complete spectrum of your business’ strengths. What comes out is a greatly improved value for the company, something that a single formula could not derive. Avoid being distracted by the dollar signs while forgetting to check out the fine print. When do you finally get your money? How much do you expect to get? How much tax will you be paying? The structure of a transaction can become twice your net proceeds or cut them into only half. The rule to follow is this: What matters is what you get, not what you get to keep! Selling a business may turn to be your most important economic event of your life, so learn what will be required to make it successful and profitable for you. Our strategic approach provides you the structure most professionals use to transact for multi-million dollar mergers and acquisitions. Some of the vital steps you need to know are market research, valuation, and prospecting. Well-informed sellers create well-informed buyers. And informed buyers appreciate deeply the essence of value and know when to pay good money for it. DFS Associates take pride in our investment-banking company for its superior quality of our clients, not just in terms of their size but also in the diversity of our exclusive network of private middle-market firms. Our increasing set of sellers includes companies all over the World, all of which operate in various business sectors, such as Manufacturing, Construction & Mining, Transportation, Business Services, Wholesale, Communications & Utilities, and many others. DFS Associates have deep experience in both international and local deals and continue to seek strategic and financial investors globally for the benefit of our clients. Prospective buyers may provide information through our secure Buyer Registration Form, allowing us to determine suitable acquisition prospects for closer evaluation. Upon registration, possible acquirers may likewise read our up-to-date acquisition potentials open to them. Our banking company delivers excellent advisory services for Japan and international corporations; private investor groups and others looking to purchase Tokyo, Japan private middle-market firms that satisfy certain acquisition goals. With our deep source of expertise and resources, we can pinpoint profitable investment options not presently available in the open market, providing acquirers to attain their specific goals through the most suitable businesses. To obtain more information regarding our complete list of buyer services, email us at info@dfsassociates.com. Determining Market Value and why it normally amounts to about 80% of the premium you stand to gain for your business. How and where to locate the most possible buyers. Reasons why successful public firms buy-out private firms, although smaller or not related to their fundamental operations. Choosing the best time to sell in order to maximize a company’s selling price. Learning the negotiation skills needed to achieve a successful sale. Reasons why Tokyo, Japan firms are most preferred by global acquirers nowadays. Differentiating between an economic buyer and a strategic buyer. Learning how economic conditions and events influence M&A deals. When acquiring restricted securities or holding control securities, you have to look for an exemption from the SEC’s registration conditions to trade them in the marketplace. Here is how: Rule 144 allows you to resell publicly restricted and control securities by satisfying several requirements. This article will show how to go about it. Likewise, it will also show how to have a restrictive legend removed. Restricted securities are defined as securities obtained in unregistered, private sales from the issuer or from an issuer’s affiliate. Investors normally receive restricted securities through private placement offerings, employee stock benefit plans, Regulation D offerings, as remuneration for professional work, or as an exchange deal for delivering “seed money” or capital to start a company. Rule 144(a)(3) specifically defines what sales create restricted securities. Control securities are defined as those held by an affiliate of the issuing firm. An affiliate is one who has management control over an issuer, for instance, a director or a majority shareholder. Specifically, management control means the capacity to direct the operations and policies of the firm involved, either through the ownership of voting securities, either by contract or otherwise. Hence, when you acquire securities from an affiliate or a controlling person, you acquire restricted securities, even though that person was not restricted while holding it. When you take restricted securities, more often than not, you will get a certificate marked “restricted”. The mark or legend signifies that you may not resell the securities in the marketplace unless they are SEC- registered or are exempt from the registration conditions. Control securities certificates often do not have such a legend. Holding Period. Before you are permitted to sell restricted securities publicly, you need hold them for at a minimum of a year. The one-year period holding period starts from the time the securities were acquired and fully paid for. The holding period only covers restricted securities. Because securities acquired publicly are not restricted, no holding period is required for an affiliate who buys securities of the issuer in the marketplace. However, an affiliate’s resale falls under the rule’s other requirements. Additional securities bought from the issuer do not affect the holding period of similar securities previously purchased. If you acquired restricted securities from another non-affiliate, you can apply on that non-affiliate’s holding period to your own holding period. For gifts made by an affiliate, the holding period starts at the time when the affiliate purchased the securities, not at the time it was given. For a stock option that an employee receives, for instance, the holding period always starts from the date the option is exercised, not the time it was received by the employee. Adequate Current Information. Sufficient current information is required about the issuer of the securities before a sale can be consummated. Generally, this signifies the issuer has satisfied periodic reporting stipulated by Securities Exchange Act of 1934. Trading Volume Formula. Upon expiry of the one-year holding period, the number of shares you are allowed to sell within any three-month period must not be greater than 1% of the outstanding shares of the same class being sold; or if the class is listed on a stock exchange or Nasdaq-quoted, the higher of 1% or the reported weekly trading volume average within the four weeks prior to filing a notice of the sale on Form 144. Over-the-counter stocks, such as those quoted on the OTC Bulletin Board and the Pink Sheets, are permitted for sale using the 1% condition. Ordinary Brokerage Transactions. Sales have to be implemented in all respects as ordinary trading transactions; and brokers are not allowed to receive above-regular commissions. Both the seller and the broker cannot solicit orders to purchase the securities. Filing Notice with the SEC. At the time the order was made, you must submit a notice with the SEC on Form 144 if the sale covers over 500 shares or the total amount is more than $10,000 in any three-month duration. The sale must be done within three months of filing the Form and, if the securities have not been traded, you are required to file an amended notice. If you are not an affiliate of the issuer and hold restricted securities for already two years, you are exempt from the above conditions. Even after satisfying Rule 144 conditions, you are not allowed to sell your restricted securities publicly until you the legend has been removed from the certificate. The restricted legend can only be removed by a transfer agent. However, the transfer agent will not remove the legend until you have been allowed by the issuer to do so — often through an opinion letter from the issuer’s counsel. Without that, the transfer agent is not permitted to remove the legend and consummate the trade in the marketplace. To commence the process, an investor should get in touch with the firm that issued the securities, or the transfer agent of the firm’s securities, to inquire regarding the process for removing a legend. The process of removing the legend can be an intricate step, in case you plan to buy or sell a restricted security. What If a Dispute Arises Over Whether One Can Remove the Legend? In case a dispute ensues about whether a restricted legend can be removed or not, the SEC is not obligated to intervene. The question is a matter exclusively left in the hands of the issuer of the securities. State law, not federal law, supervises such disputes regarding legend removal. As such, the SEC will not get involved in any decision or issue about removing a restrictive legend. DFS Associates is recognized as a trusted investment banking company worldwide, recognized as a leader in mergers and acquisitions, corporate finance, tax efficiency and divestitures, especially in the middle tiers of the private sector. DFS Associates is recognized as a trusted investment banking company worldwide. DFS Associates commits to delivering each client’s particular needs through effective strategic evaluation and smooth implementation to achieve optimum profit. 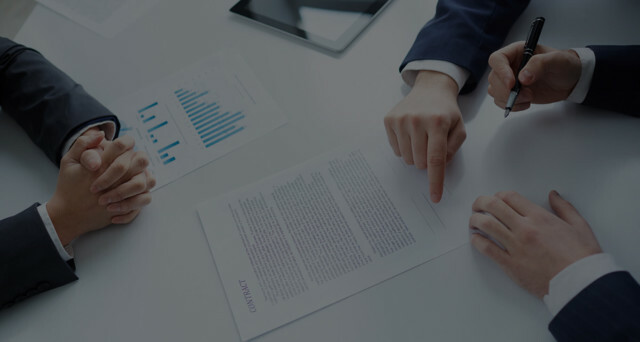 Our experienced professionals offer clients a unique mix of top-level Wall Street knowhow and extensive middle-market experience, acquired through many years of involvement in advising mid-sized business companies.